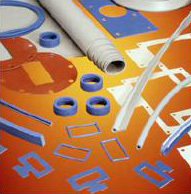 Since our inception in 1963, Niantic Seal, Inc. has focused on custom fabricated products to meet individual customer specifications. 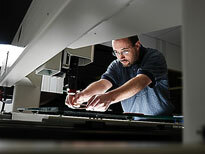 Over the years, we have continued to invest in new equipment, expanding our capabilities to accommodate our customers. In 2006, we built an applications laboratory inside our fabrication department to provide engineering design, material selection and rapid prototype samples. At Niantic Seal, our one driving goal is to maximize the performance of your products. We accomplish this by delivering the best quality and innovation possible. Niantic’s commitment to quality is seen in our ISO 9001 registration. Our renowned innovation owes to our expansion technical expertise and broad-based industry knowledge. They’re equipped to react quickly to unique challenges, with fabricating capabilities that produce prototypes with amazing speed. These prototypes allow our teams to achieve performance improvements and reduce costly design flaws, so that your final product is the most successful and cost-effective solution possible. 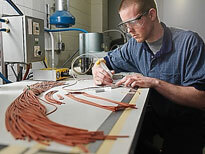 Niantic Seal is a certified Parker Sealing Technology Center.